Meet Tony, the loyal doggie who didn’t leave his owner’s side after the man injured himself falling 6 feet down on the concrete sidewalk when pruning a tree outside his home on Saturday. 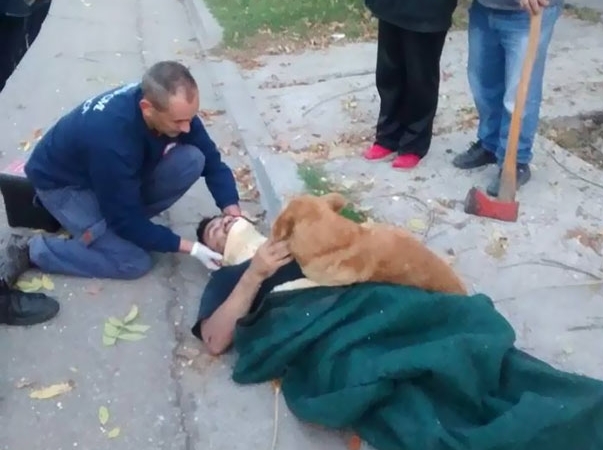 The owner, whose name is Jesus Hueche, hit his head and lost consciousness – but the puppy was there by his side up until the ambulance arrived. 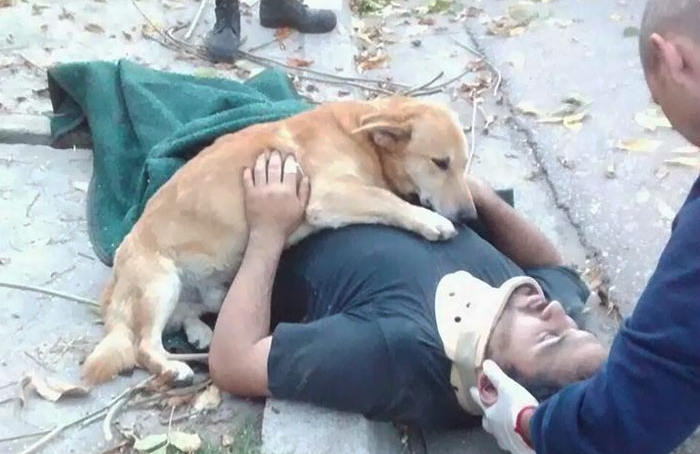 All while doctors were putting a neck brace on Hueche, the doggie was still hugging his owner, as if telling him to stay strong and hold on. 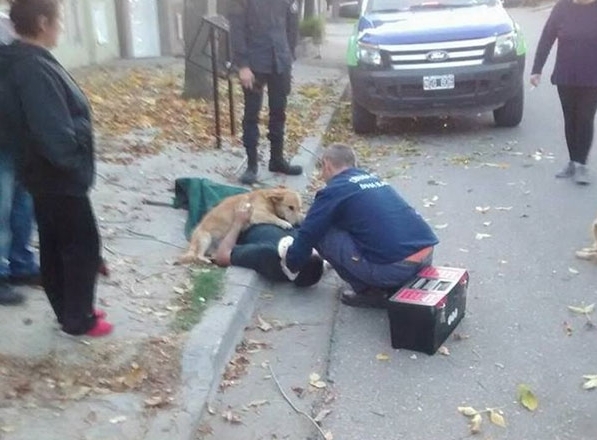 Eventually, the man did recover his awareness, and then the canine gave him a few pats of encouragement so that the man felt safe and taken care of. 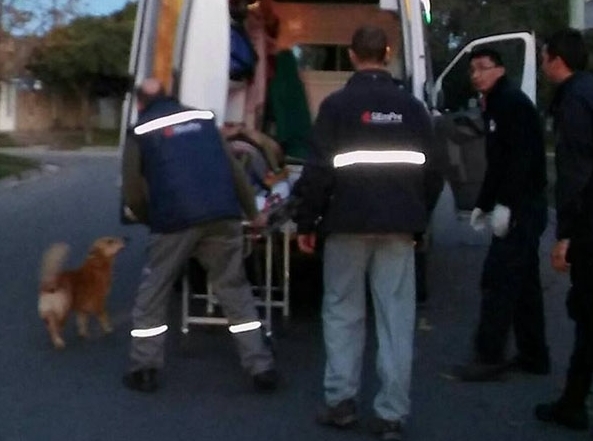 The doggie even tried to climb into the ambulance to go with his owner. 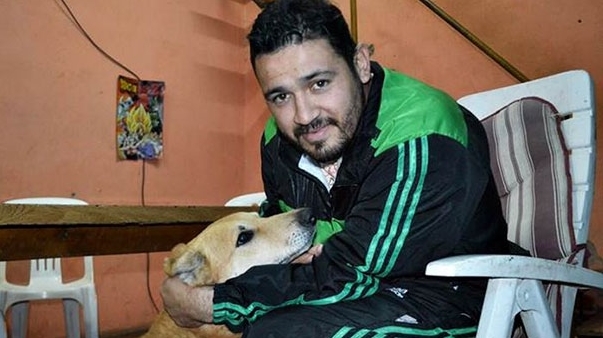 Luckily, Hueches injury wasn’t so bad, and the man was soon reunited with his loyal dog. “One day we saw him on the street and adopted him, gave him love, food and is part of our family,” Hueche told a local news channel. “For me he’s like a son.” Clearly, the love is mutual. 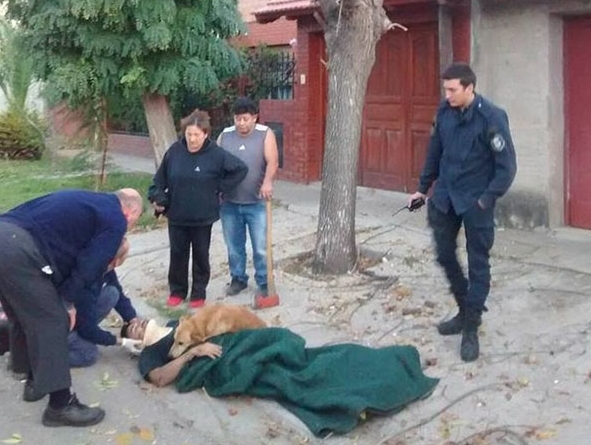 Responses to "Dog refused to leave his owner who got injured and lost consciousness after a fall "